Threatmantics take on the A-Z challenge! Our A-Z challenge is a fun way to get to know artists. 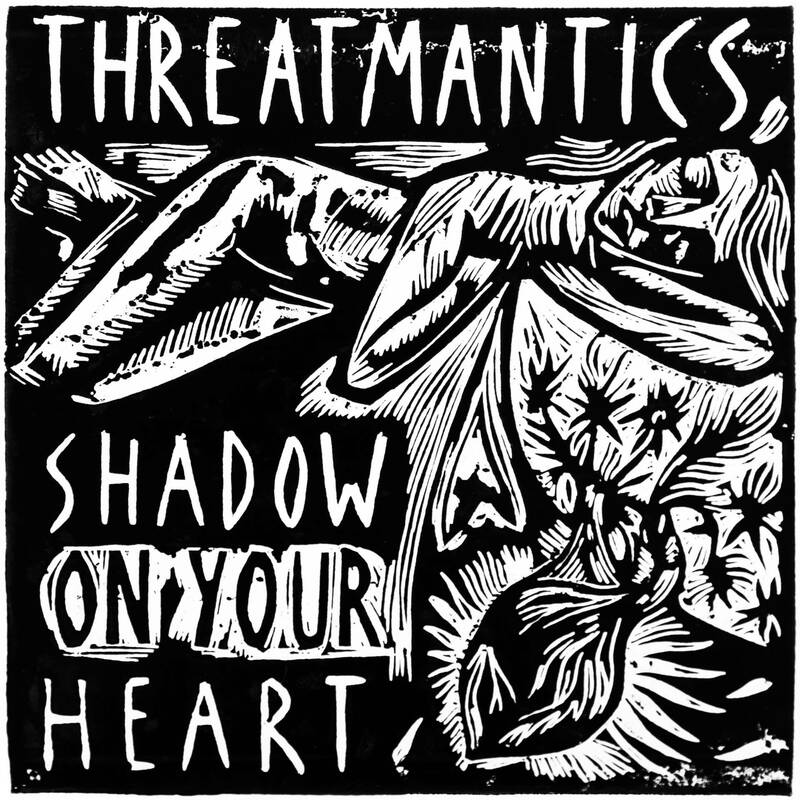 Today we delve into the minds of Welsh rockers Threatmantics as they take on the challenge of answering 26 questions about their band relating to the letters of the alphabet! Sweet Johnny by Gorky’s Zygotic Mynci. Goes from sweet to psychotic then back again. Absolute unhinged genius. We played a cover of it at the final gig at Tommy’s, the old Cardiff Art School union bar, where Threatmantics was formed. It’s all flats now, as is the rehearsal room where that song was written. Probably the riders from the tours we did with Clinic. They had loads of fruit, bread, a cheese board. Sensible, tasty, healthy stuff that can also be used for breakfast/lunch the next day. A great template for any band and one that we completely fail to adhere to when we get to choose. On tour en-route from Aberdeen to London we were pulled over by the Scottish transport police. They took us to a weigh station because they said our van looked overweight (the cheek!). Turns out it was. By a lot. So we took out all our gear. Still too heavy. Took out all our bags and belongings. Still too much. Turns out the only way we could tour legally was in an empty van with half the band left by the roadside! Had to wait for a trailer to be delivered all the way from London in order to be allowed to continue to our gig. In London. It was bit like having Franz Kafka as your tour manager. How answer this and not come across sounding like Bono…? That’s a hard question! The easy ones lyrically can be a real arm wrestle musically and vice versa. However, I’d probably have to say Don’t Care, from our first album. That took maybe ten minutes to pull together, everything just falling into place. Pretty much a complete fluke of a song that is still probably one of our best. It changes all the time! Krystal Pystol is very shouty and cathartic, but at the moment it’s probably Now You Are Gone for the hooks, the harmonies and the opportunities for sneaking in bits of AC/DC to try and throw Heddwyn off. Cult Cardiff genius Spencer Segelov. Apparently he knows all the words already so he’d be ideal. Trying to describe our sound! Especially if there is a word count. Huw, our drummer, has a sleeve tattoo made up entirely of Pokémon. A running gag of claiming never to have heard of something even though you obviously have. Inspired by an old friend and a change in direction, and in turn the inspiration for one of the songs on our new LP. Most of ours are in A. Makes it easier to build slick transitions between songs when playing live. Amsterdam. Fell asleep in a park under the sun then almost broke the PA. Lots of fun. Probably Euros Childs. He’s such an amazing songwriter and insanely prolific. We were lucky enough to support him on tour in one of those occasions where you really should meet your heroes. Silent Forum. They supported us at our album launch gig. Ambitiously expansive post-punk and lots of fun live. We’ve ticked quite a few off our bucket list; Clinic, Euros Childs, Oh Sees, but a Super Furry Animals support slot would be amazing. They loom pretty large in each of our musical landscapes, although Graf’s already supported them with Gindrinker. I’m sure he wouldn’t mind another go. It would be great to play France again. We recorded half our album in Paris, playing gigs out there while honing the songs. We’d love to go back there now it’s finished. Album titles are incredibly difficult to come up with. Then there’s the process of getting everyone to agree on one. So this time we went with the tried and tested method of naming your album after the first track. Classic. London and elsewhere very soon, then a bunch of festivals over the summer. Not for us. The way we’ve recorded and released our record, with the amount of freedom and control we have, on the budget we’re working to. There’s no way we’d’ve gotten away with it in the “good old days”. Our new album is a limited edition 12”. Each cover is a hand-printed woodcut print, front and back, by Welsh artist John Abell. Each one is a unique and exceptionally beautiful work of art. Graf would like to go back and put bass guitar on our first two records. Without the people who love our music we would never have been able to release this record. None, I’m afraid. We’re either very boring or incredibly robust. There is an obvious answer to this question but apparently he’ll quit the band if we reveal it, so it’s “no comment” I’m afraid. He’s too good at playing the REDACTED. An okapi? It’s one of those animals that looks like it’s made up of spare parts and shouldn’t really work but it does. Or maybe some kind of grizzly bear? Periods of hibernation followed by an explosion of hairy noise.